We welcome you to try our BLAST to local business owners. Each blast goes out to local business owners 4 times per year in each zone. In your market you may have 1 zone or several zones. If you market a service or product that is great for targeting local businesses B2B BLAST is perfect for you Each zone is made up of 5000 local business owners. Check with the local marketing director for more information. 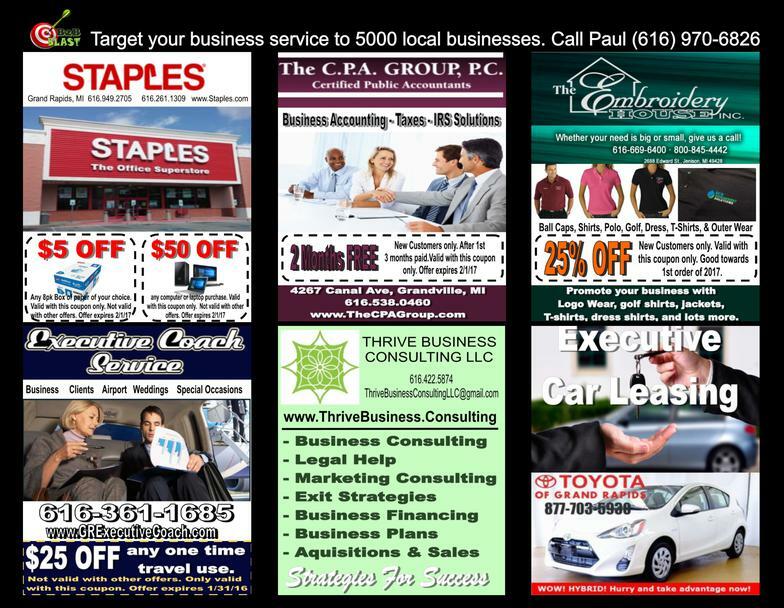 Large full color glossy ads in a handy attractive tri-fold brochure. 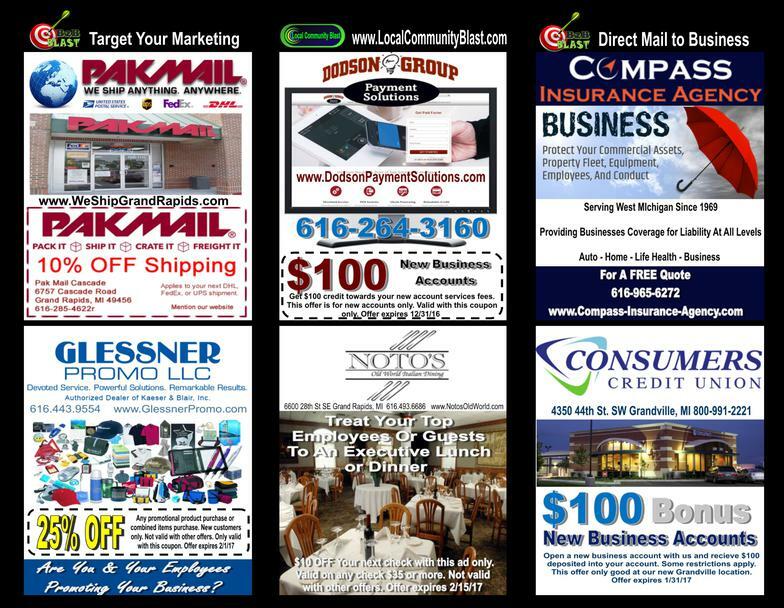 Tell us how we can help you...Have you done B2B direct mail before?